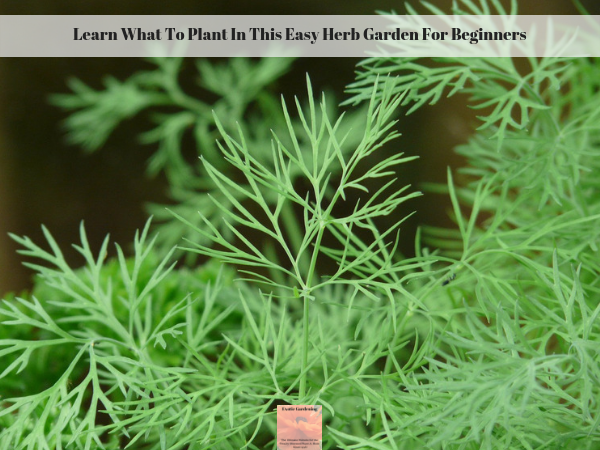 If you’re looking for ideas on what to plant in an easy herb garden for beginners, look no further! 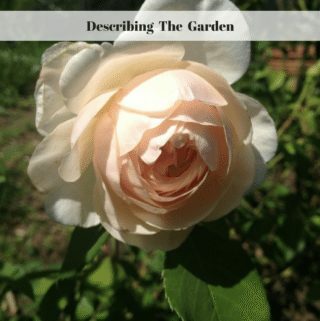 The eight herbs below are easy to grow and ideal to plant in your herb garden in spring or early summer. 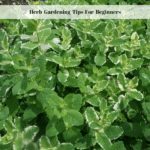 As a beginner to growing herbs, you might wonder what the advantages are. 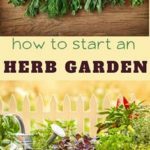 The first one is you can grow the herbs you like and the ones you will use the way you see fit while saving money. When you buy herbs in jars or even fresh, you get limited amounts. Sometimes the herbs in the jars are old and thus have lost a lot of their quality. This means they do not taste as good as fresh ones. In fact I have had herbs in jars that had no taste at all and no scent as well. 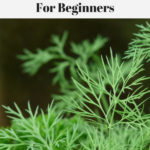 The biggest advantage though is that if you use a lot of herbs you save money because buying them is a lot more expensive than just growing them yourself. 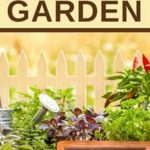 If you are looking for an affordable, easy and great way to enhance the flavor of your foods, then start an herb garden. Herbs take little effort and do not need much space. 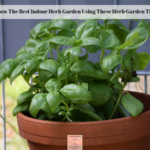 In fact, since herbs prefer well-drained soil, growing them in containers is ideal, plus you have the option to grow the herbs indoors in a sunny window during the winter months. Basil has a warm and spicy flavor that pairs perfectly with soups and sauces. The best way to use up basil is to make pesto. Seed basil directly into the garden during late spring or start it indoors four to six weeks before the last frost in your area. Basil needs lots of sunlight. Chervil is an herb that has a similar flavor to anise seeds. 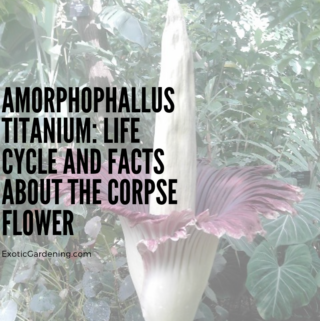 It is an uncommon herb that won’t traditionally be found in grocery stores, but it adds great flavor to your morning eggs. Plant chervil when there are no signs of frost to come, because it’s sensitive to cold temperatures. Cilantro is a great herb to add a fresh flavor to guacamole and salsas. Cilantro aids digestion and is high in potassium. Make sure to keep your cilantro and parsley separate to not confuse the two. 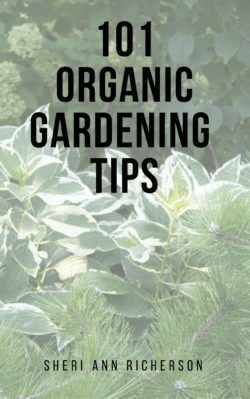 Pick a spot in the garden that offers the most sunlight and well-drained soil. Cilantro is sensitive to drought, so make sure to keep the soil moist. Epazote – If you enjoy cooking Mexican food then you need epazote in your garden, because it is unlikely you will find it in a grocery store. It has a peppery minty flavor that is often found in beans and stews at Mexican restaurants. Once the danger of frost has passed, plant epazote in well-drained soil with access to full sun. 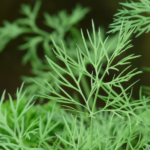 Dill is widely used in Europe to enhance the flavor of fish, potatoes, and dairy. It is also delicious on corn and cottage cheese. It is commonly used for making pickles. 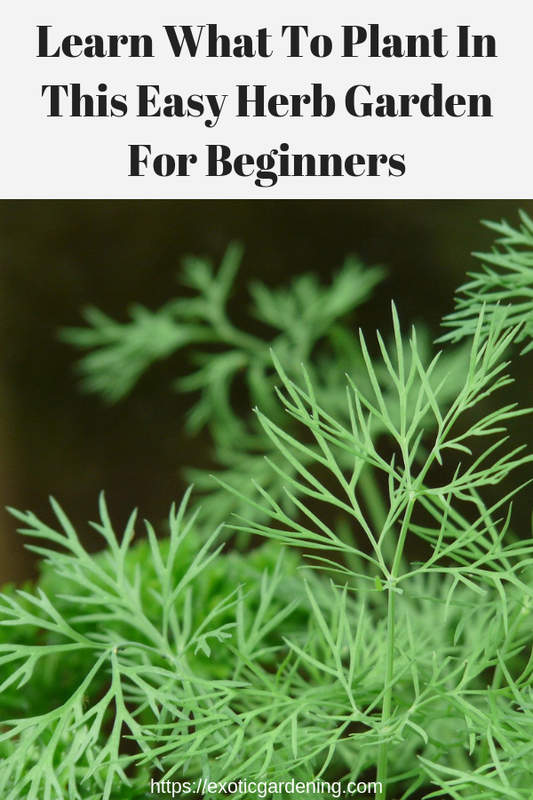 It has an earthy flavor and aroma similar to fennel. 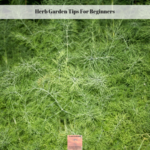 You will want to sow dill seeds directly into your garden because they do not grow well when transplanted. Lemon balm is an herb from the mint family that has a mild lemon aroma. Lemon balm is commonly used for its medicinal benefits as it helps upset stomach and bloating. Lemon balm can be seeded indoors during the colds months and then transplanted outdoors in late spring. Lemon balm will take over the area it is planted in if it is allowed to. Mint – Use this herb to add flavor to tea or water. Mint even pairs well with lamb. Mint, like most herbs, should be grown in a pot to allow the soil to drain. Not only that, it tends to take over any space that is available, so growing it in a pot helps keep it manageable. Parsley is mostly used as a garnish, but provides a lot of nutritional value and can be added to pretty much any dish. 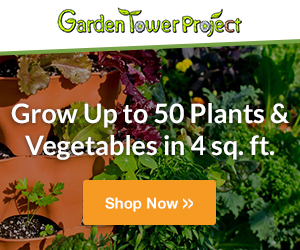 Parsley can grow in full sunlight or partial shade and needs moist, nutrient-rich soil. To get the best results from your herb garden, keep each herb separate and make sure they have plenty of sunlight and water. A great idea for herbs is to use individual terracotta pots for planting so that you can plant whatever you want and move them around as needed. Keeping the herbs separated and labeled is especially important for beginners. 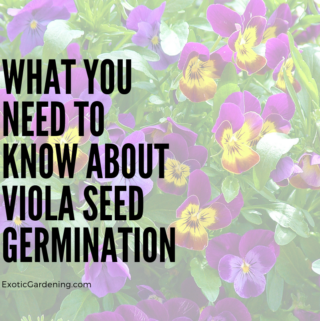 Once you can easily recognize the various herbs and know what they are used for, growing them in close proximately to one another or even intermixed with flowers or vegetables is easier although giving them adequate room is still important.